notícia da Visão de 19 de agosto de 2015. Que ler para as crianças têm um efeito positivo é um dado adquirido. 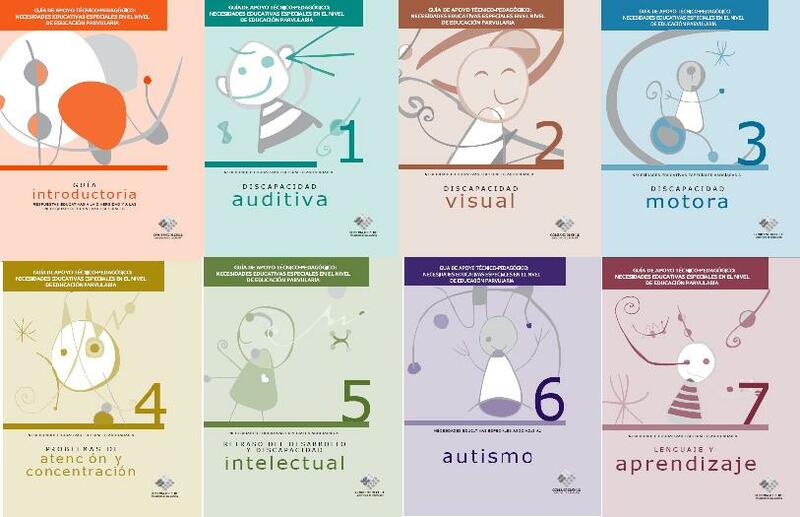 Mas um novo estudo analisou a fundo a complexa – e em alguns pontos surpreendente – relação entre o crescer a ouvir ler livros e o desenvolvimento linguístico. 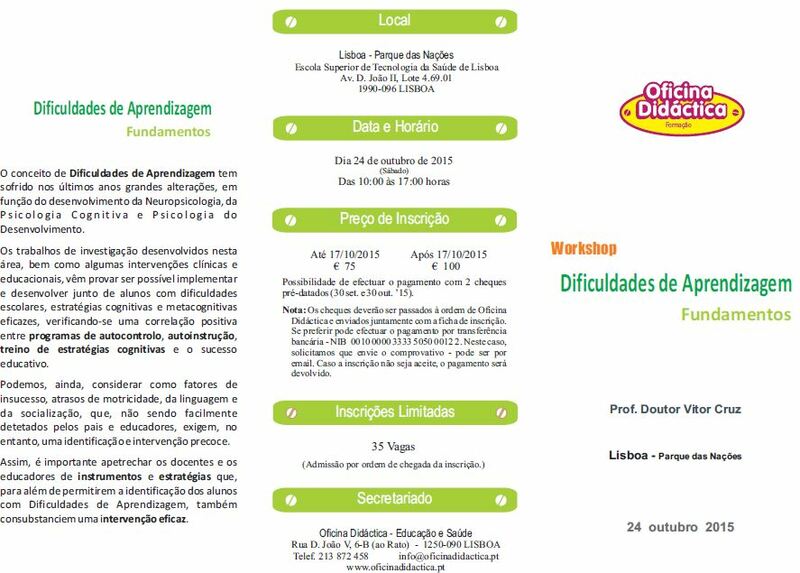 Este mês, a publicação científica Pediatrics inclui um estudo que, através de ressonância magnética funcional, observou a atividade cerebral de crianças entre os 3 e os 5 anos enquanto ouviam histórias apropriadas à sua idade. 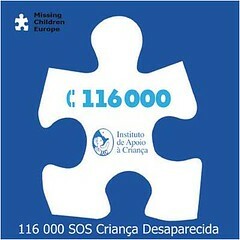 Os investigadores encontraram diferenças significativas entre as crianças às quais eram lidas histórias à noite e as outras. 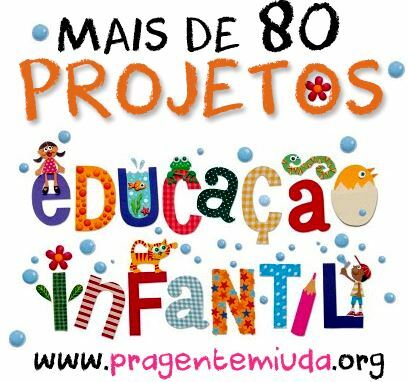 As crianças cujos os pais reportaram ler mais em casa, com maior frequência e maior número de livros, mostraram uma ativação bastante maior de áreas cerebrais numa região do hemisfério esquerdo ligada à integração multissensorial, conforme explica o principal autor do estudo, John S. Hutton, investigador clinico no Cincinnati Children’s Hospital Medical Center. Esta zona do cérebro, que é conhecida por estar extremamente ativa quando crianças mais velhas leem livros por si próprias, revelou o mesmo efeito quando crianças mais novas ouvem histórias. 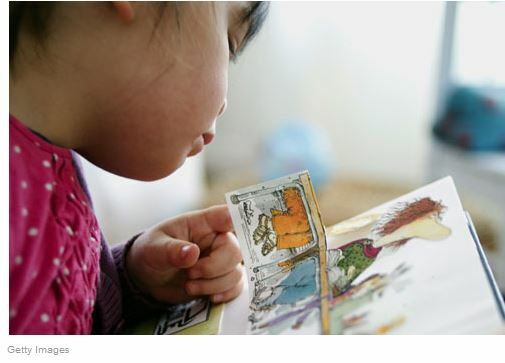 Uma das descobertas mais surpreendentes do estudo foi a de que as crianças mais expostas a livros e à leitura em casa mostram uma diferença significativa de atividade em áreas do cérebro que processam associação visual, mesmo que a crianças estejam apenas a ouvir ou não haja imagens nos livros. “Quando as crianças estão a ouvir histórias, estão a imaginar na sua mente”, explica Hutton. “Por exemplo, ‘o sapo saltou por cima do tronco’. Eu já vi um sapo, eu já vi um tronco, como é que isto será?” Os diferentes níveis de ativação cerebral, disse, sugerem que uma criança que tem mais prática a desenvolver estas imagens visuais terá uma maior probabilidade de desenvolver habilidades que a ajudarão a produzir imagens e textos próprios mais tarde. O estudo concluiu ainda que a linguagem dos livros, quando comparada com a linguagem usada pelos pais ao falar com os filhos, é mais completa, expondo, por isso, as crianças a um vocabulário mais alargado. 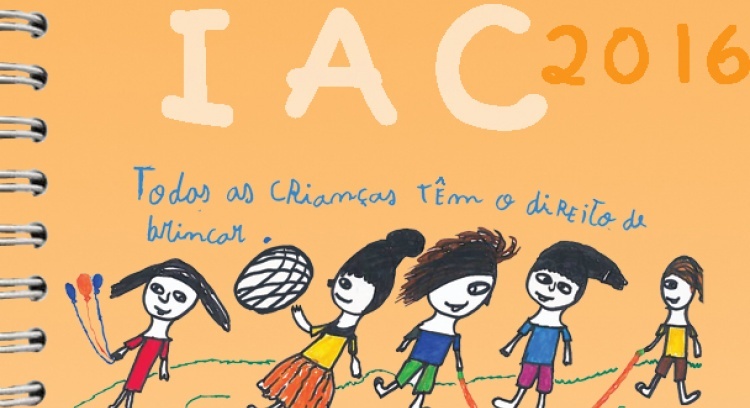 Na causa Agenda IAC 2016 pela Defesa e Promoção dos Direitos da Criança introduza o valor do seu contributo, clicando posteriormente em CONTRIBUIR. Continue o processo seguindo os passos que constam do formulário. 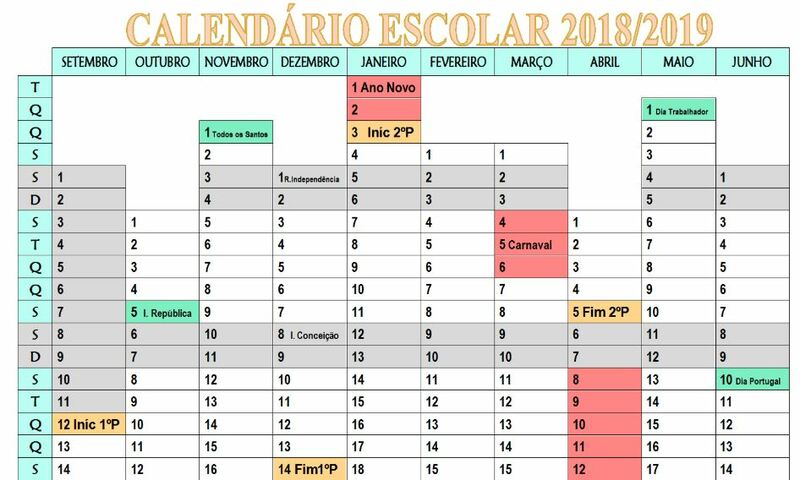 Aconselhamos a selecionar a opção” Desejo doar o valor a este promotor, mesmo que a campanha não angarie a totalidade dos fundos“ para que possamos dispor de qualquer verba angariada e, desta forma, concretizar o nosso objetivo. A plataforma do PPL irá gerar uma Referência Multibanco para que possa fazer o seu contributo à campanha. 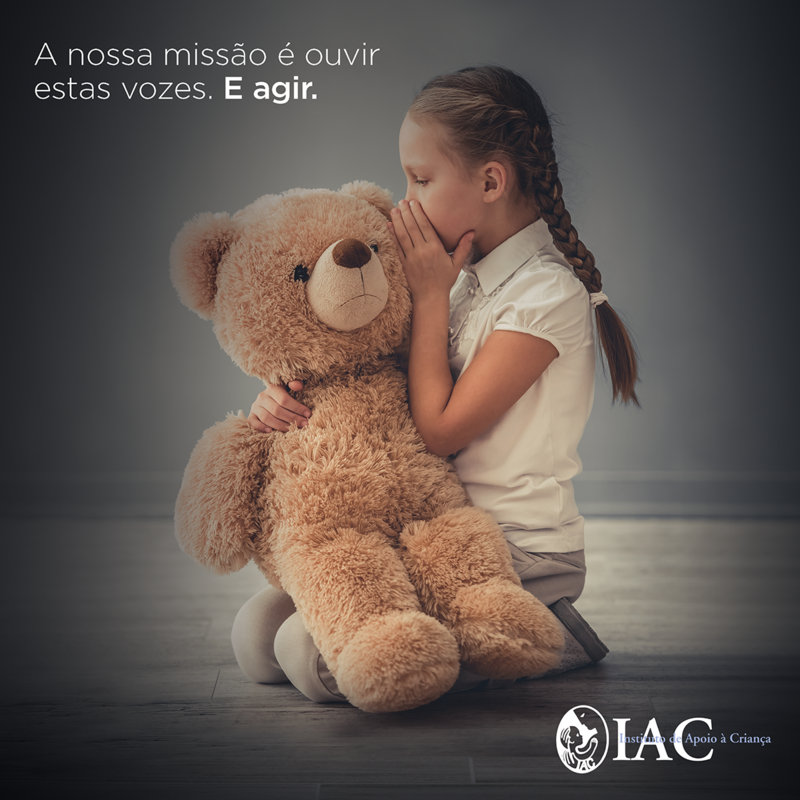 A partir de 10 euros receberá uma RECOMPENSA do IAC. notícia do http://www.theguardian.com de 19 de agosto de 2015. Violence and poor relationships with teachers puts English children 14th out of 15 countries surveyed for happiness at school as charity calls for action. Children in England are unhappier at school than their peers in almost every other country included in a new international survey, with widespread bullying causing huge damage to their wellbeing. An estimated half a million 10- and 12-year-olds are physically bullied at school, according to a study by the Children’s Society, which found that 38% of children surveyed had been hit by classmates in the last month. In an international comparison of children’s happiness in 15 countries, the report concluded that children in England were unhappier with their school experience than their peers in 11 other countries, including Ethiopia and Algeria. The findings, which are outlined in the Children’s Society’s annual Good Childhood report, carried out in collaboration with the University of York, paint an alarming picture of children’s experiences at school in England, and their wider sense of wellbeing. According to the report, children who were bullied frequently were six times more likely to have a low sense of wellbeing than children who had not been bullied. Children in English schools were also the most likely to have experienced being left out by classmates in the last month, with half of all those questioned complaining of feeling excluded. Boys were 50% more likely to have been hit by classmates than girls, while girls were 40% more likely to have felt left out. On average, 11% of children said they were dissatisfied with school life, with particularly poor relationships with teachers upon which England was ranked 14th out of the 15 countries. They were also unhappy about what they were learning (11th in the rankings) and with their classmates (12th). The study also reveals that children in England are particularly unhappy about their appearance. Girls came bottom in terms of their satisfaction with their appearance and self-confidence compared with girls elsewhere, with the exception of South Korea. They were more than twice as likely as boys to feel unhappy with their bodies (18% compared with 8%), with few other countries in the study showing the same gender difference. The report also highlights the difference in children’s experience of primary and secondary schools with children in year six, the top year of primary, much more likely to say they enjoy going to school (61%), compared with just 43% in year 8. The international research is based on a survey of 53,000 children aged 10 and 12 in England, Germany, Norway, South Korea, Poland, Estonia, Spain, Turkey, Romania, Algeria, South Africa, Israel, Ethiopia, Colombia and Nepal. 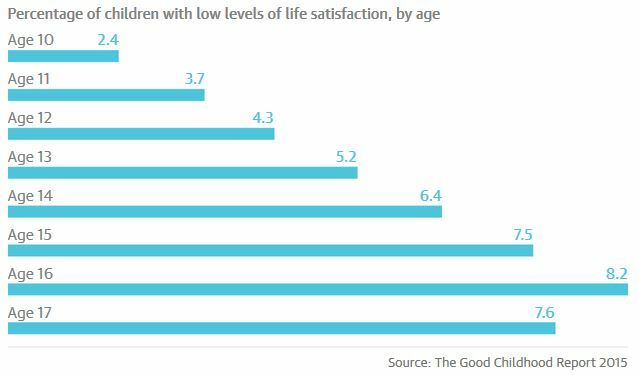 Overall, it concludes that children in England are unhappier with their lives than those in 13 other countries including Israel and South Africa, with only South Korea lagging behind. Interestingly, however, the report points out that children in England have relatively high satisfaction with five particular aspects of their life – their friendships, money, possessions, their relationships with relatives they don’t live with and their local police. 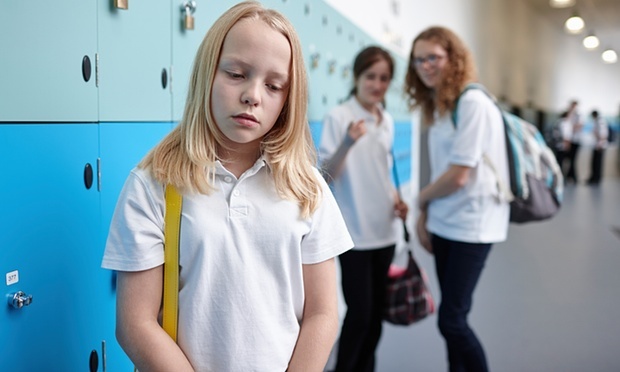 As a result of its findings, the Children’s Society is calling on the government to make it mandatory for schools in England to provide counselling to pupils, and is urging schools to help children’s wellbeing by tackling bullying and promoting physical exercise. “Despite a long period of austerity, we are one of the richest nations in the world yet the happiness of our children is at rock bottom,” said Reed. “They are unhappy at school and are struggling with issues around their appearance and self-confidence. Professor Jonathan Bradshaw, of the department of social policy and social work at the University of York, said: “Although we know from previous work that most children in England are positive about their lives, these comparisons show where we could be doing better for our children. He added: “Children are our future. Their wellbeing matters to us all. As a nation we pay enormous attention to the wellbeing of our economy, the state of the weather, sporting league tables, the City and the stock market. Children’s mental health has become a key issue for campaigners in recent years, with concerns about cutbacks in adolescent mental health services. Lucie Russell, of the mental health charity, YoungMinds, said not enough was being done to support children facing enormous pressures including stress at school, body image issues and cyberbullying. “We just cannot ignore that in Britain so many children are suffering. These findings must not be dismissed as simply an inevitable part of growing up. Children in England are worryingly falling a long way behind in their level of happiness in comparison to other countries and action must be taken to address this. A government spokesperson said: “The best schools create a happy, safe and supportive environment for children, laying the foundations for fulfilment in adulthood. Bullying of any kind is unacceptable and all schools must have measures in place to tackle it. That is why we are providing more than £7m to help schools tackle bullying head on. The Children’s Society is a national charity which works with vulnerable children and young people and campaigns on their behalf. 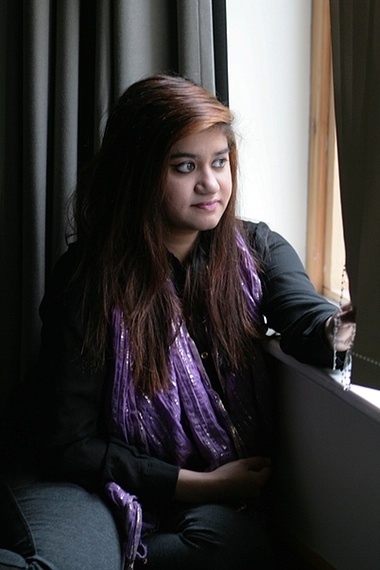 Tamanna Miah is 22 and in her third year at university, but still carries the emotional and physical scars from the racial bullying she suffered throughout primary and secondary school. Her family are from Bangladesh and she grew up in Sevenoaks, Kent, where she was the only non-white child in her primary school. The bullying started almost as soon as she began school, she says, around the age of four. “I was the only Asian kid in my area and in my school. People used to bully me for my looks, my skin colour … they did everything to make my life hell. They called me names, put sticks and rubbish and chewing gum in my hair. Miah was so unhappy at school her parents had to drive her there “kicking and screaming”; she would pretend to be ill and try to hide to avoid going to school. She began to lose confidence in the way she looked and used her mother’s skin products to try to lighten her skin so she would “fit in” with her peers. Bullying has changed her life, she says. “It’s soul-destroying, it really is. I know how much I suffered and I wouldn’t want anyone else to go through it. I suffered severe depression and anxiety as a result. I was so isolated. Far from school being a safe haven, Miah believes children feel particularly vulnerable there, and that teachers don’t realise how much of an impact experiences of bullying have on a child’s wellbeing. Miah believes her grades suffered as a result of the bullying, which was a constant distraction from her studies. Now she campaigns on issues surrounding bullying and has made a film to show what it’s like to be a victim. A imagem do menino morto à beira mar tornou-se o ícone mais marcante do drama diário de milhares de refugiados sírios. De Hiroshima ao Sudão, outras imagens que viraram bandeiras de desastres humanitários. Publicar ou não uma imagem de uma criança morta é um exercício discutível, que põe em causa os princípios deontológicos dos media. Mas a fotografia de Aylan Kurdi encontrado morto à beira mar na Turquia tornou-se viral também nas primeiras páginas dos jornais por todo o mundo. Pela carga emocional que acarreta, tornou-se símbolo de um movimento de migração de refugiados que assumiu proporções incontroláveis, às quais é impossível continuar a responder da forma como a Europa tem feito até agora. 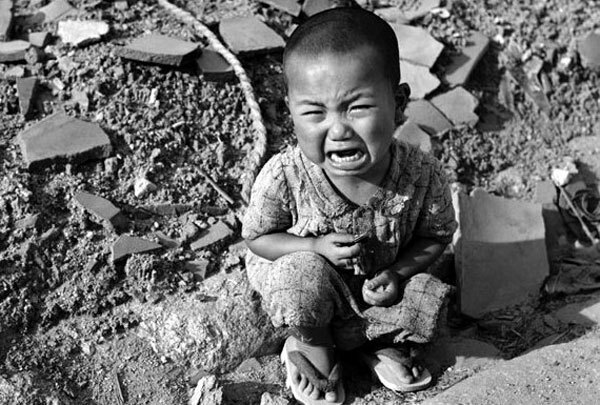 A imagem de um bebé a chorar entre os destroços na cidade chinesa de Xangai depois de um ataque aéreo japonês foi vista por milhões de pessoas depois de aparecer na revista Life em Outubro seguinte. Mais tarde surgiram imagens do pai a colocar a criança naquele sítio, surgindo a tese de que a situação tinha sido encenada por H.S. Wong para dar dramatismo ao acontecimento. 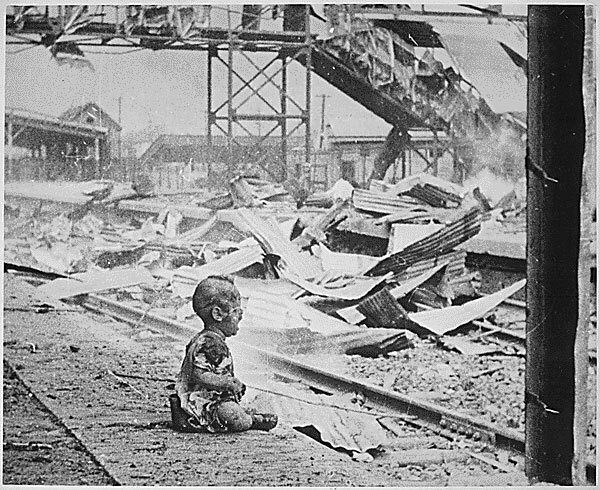 Depois dos bombardeamentos de Hiroshima, um fotógrafo captou a imagem de um bebé agachado a chorar entre os destroços. A imagem emocionante correu o mundo e ajudou a mobilizar a opinião pública contra o sacrifício de civis. 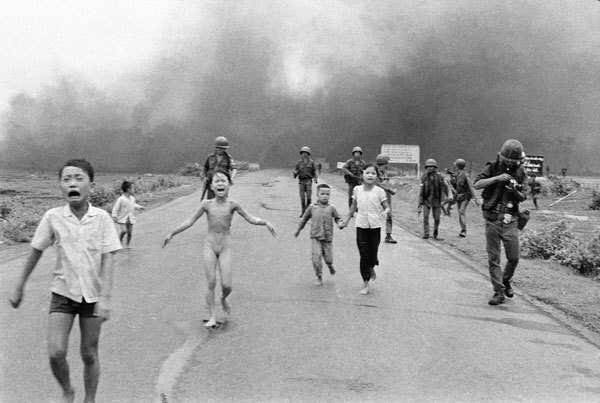 A imagem da menina que corria despida depois de um ataque de napalm por parte das tropas norte-americanas é o retrato do sofrimento de um povo durante a guerra do Vietname. Kim Phuc era uma menina de 9 anos a fugir desesperada quando Nick Ut da Associated Press imortalizou o momento, o que lhe valeu um prémio Pulitzer. 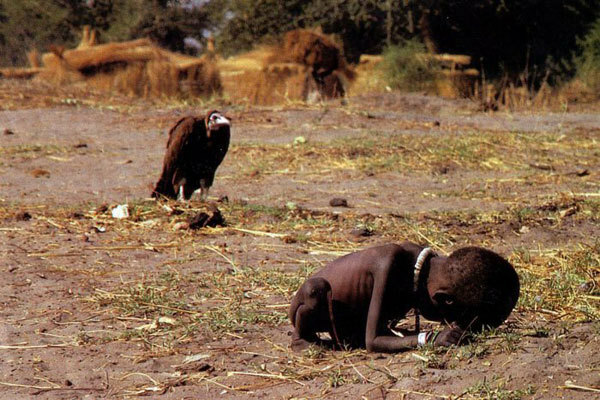 Kevin Carter foi o autor da imagem impressionante que mostrava um abutre que se preparava para atacar uma criança sudanesa desnutrida e em agonia. O frame icónico publicado no New York Times valeu-lhe um Pulitzer, mas o fotógrafo sul-africano viria suicidar-se em 2011, carregando consigo o peso de não ter feito mais para ajudar a menina. Confessou ais tarde quando recebeu o prémio que aguardou 20 minutes até disparar, esperando que o abutre abrisse as asas, e que viveu para sempre com esse arrependimento.